Used wherever the English Language is spoken or taught and now re-designed and beautifully illustrated to make it bright, appealing, attractive and motivating. This illustrated edition retains the structure and approach of the original bestseller but has been produced to ensure that all the terms and information are up to date and reflect the international readership of the book. It is invaluable in class and as a reference book, both to native English speakers and to students of English as an additional language. 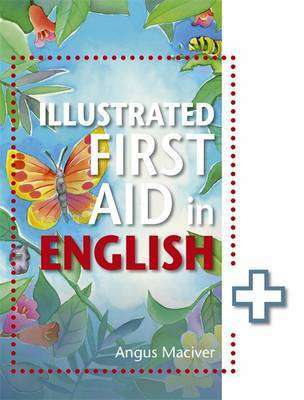 - Covers vocabulary, spelling, syntax, idiom and correct usage - Provides background information - Includes a wide-range of exercises to test knowledge and skills The New Illustrated First Aid in English is accompanied by an answer book which gives answers to all the exercises and tests.